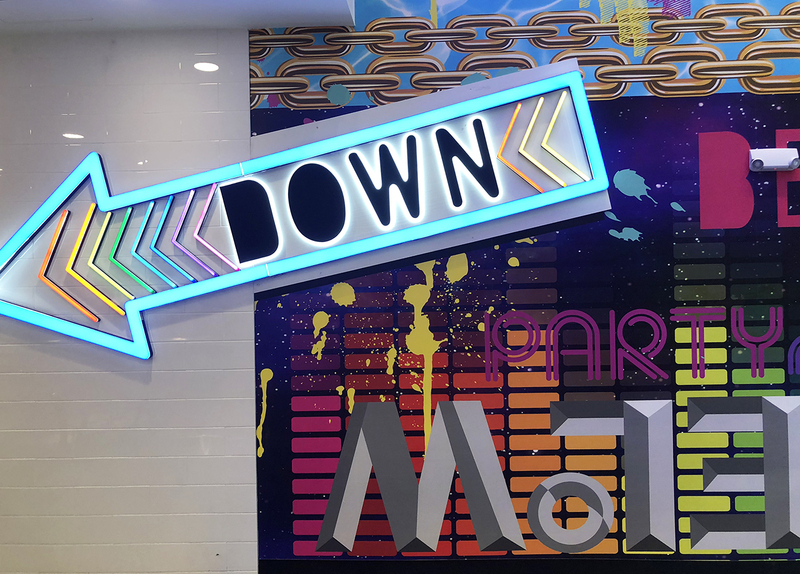 The national discount retail chain Five Below just opened a flagship store on Fifth Avenue. Michael Musto may never leave! I live for discount stores, being both an incorrigible cheapskate and a fascinated admirer of kitschy (or no) taste. As such, I’m a regular at the three Manhattan locations of Jack’s, the 99-cents-and-up bastion of everything from canned vegetables and woolen caps to Christmas decorations, and Flying Tiger, the Danish store that carries inexpensive household items like cleverly designed unicorn mugs and cocktail glass tape dispensers. Sure, a lot of the merchandise at Five Below is geared toward young girls (tweens, even, according to the company’s site), but there’s truly something for everyone, whether it be ottoman covers, sequined pillows, charcoal body scrub, or furry notepads. And as we start scrambling around for the perfect (cheap) holiday gifts for family and friends, there are all sorts of artsy-crafty kits with which to make stuff—from candles to gingerbread houses—not to mention one to whip up your own “slimy gloop” (for those don’t want to buy their gloop ready-made, LOL). Strut around the one level and you’ll also find Beanie Baby merch, some Peanuts bobbleheads, and a wall of candy full of steals. (A four-ounce bag of Haribo berries for $1.25, to name one example.) Fancier candies are available too, plus Pez dispensers and Spider-Man masks and soccer balls and tiny cars. Also, headphones and chargers and…just about everything you can stuff into a holiday stocking. And Five Below sells the stockings, too, and dollar wrapping paper to zhoozh it all up with when you get home. The store offers a bracing mix of things that are useful (umbrellas, gloves, pajamas, speakers), things that are just plain fun (levitating Mickey Mouse heads, glittery wreaths), and stuff that’s both. But mostly I buy gifts for myself. The store offers a bracing mix of things that are useful (umbrellas, gloves, pajamas, speakers), things that are just plain fun or ornamental (levitating Mickey Mouse heads, glittery wreaths), and stuff that’s both. On my second visit, I bought a shaggy, multicolored polyester throw rug from India, which also works as a wall hanging, for only five smackers, and it has truly lit up my apartment, though I’m always conscious of walking around it so as not to ruin its wacky majesty. And I’ve noticed some gay-friendly items on sale there, whether that’s intentional or not—like an extra-large mug labeled “Size Matters,” plus a $5 poster of RuPaul and a makeup line called Hello, Gorgeous (Barbra Streisand’s first line from Funny Girl). 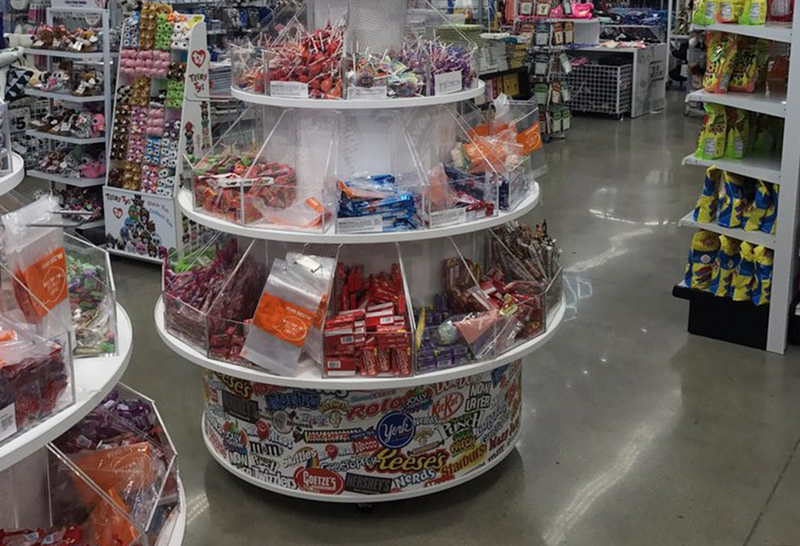 Strolling around Five Below is a colorful experience out of Willy Wonka by way of Alice in Wonderland—and I love that it’s smack-dab in a relatively ritzy location, where it should bring the pretension level down along with the prices. The staff is diverse and fun (and also helpful), though they’ve been directed to be a little too cheery right now, as they aggressively launch the store. As you enter, a guy booms “Welcome, sir” into a mic. 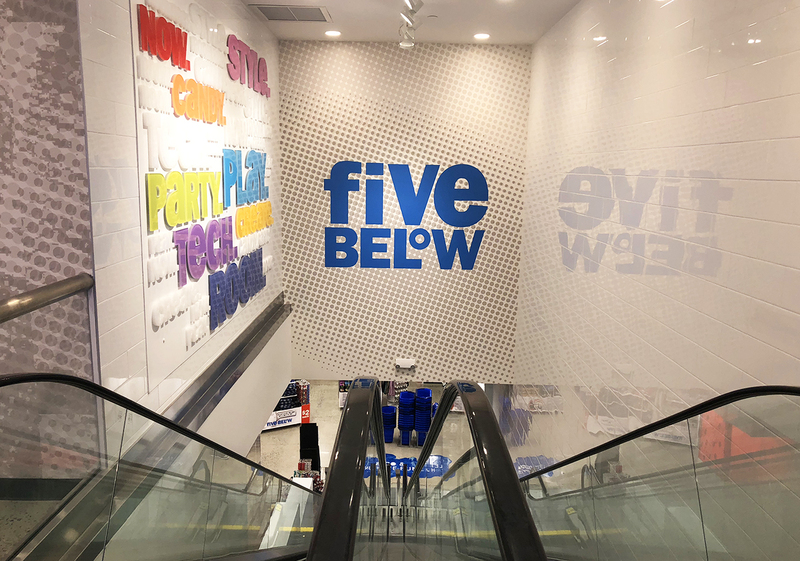 You go down the escalator and someone else chants, “Welcome to Five Below,” followed by a dude announcing, “When I say ‘five,’ you say ‘below.’” That leads to a rousing chorus of “Five…below,” except the people saying the “below” are the other staff members, not the customers. On opening weekend, kids could even take their picture with someone dressed as Spidey, though I declined. This joint will never be a party—it’s a store—but it’s hard to fault a place for trying to be friendly. I happen to love the shopping ops available and plan to spend at least half my twilight years there. And at night, I’ll go to 54 Below—the famed cabaret a few blocks northwest—and maybe wear my new rug as a shawl.